On 14.11.2018 HDC sent a press release announcing that HM Inspector had concluded that the Local Service Service planning tier, which included Bluntisham, was to be removed from the plan and that consultation would start in December 2018 to consult on this change. 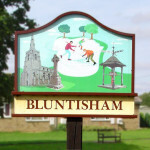 The notes from the inspector that triggered the press release called for the draft site allocations in Bluntisham in the PLP2036 to be removed from the plan. any adverse impacts of the grant of permission would significantly and demonstrable outweigh the benefits when assessed against the policies in the NPPF taken as a whole. In simple terms this means that any refusal would be subject to an appeal by the applicant because tilted balance must be applied and you can’t hold back applications until you have an adopted plan, therefore any appeal against a refusal would be successful. This is a huge disappointment , the Parish Council does not object to development in this area, but did strongly object to the commercial units on this site and have serious concerns about road safety, pedestrian safety, access issues and parking across both sites. As we are not the applicant we can not appeal this decision but we will be working with Mr Highland and HDC planning to ensure that when the full application is submitted all conditions and obligations that come with this permission are met and closely monitored on an ongoing basis. Further detail of this and the other outstanding applications and the Local Plan 2036 will be included in the December newsletter.